The clues all in the name, where the Eden Project are offering a special range of 'spooky things' to see and do, celebrating Halloween, including making positive potions, protective charms and pumpkin carving - all great fun! Built in 1779, located near the start of the Camel Trail in Bodmin, this is a truly fascinating building, steeped in architectural and social history, and was the last county jail in Cornwall - closing in 1927. Today there is a civil and naval prison, museum, execution chamber, 'Warders Room' restaurant and 'Witness Box' wine bar. 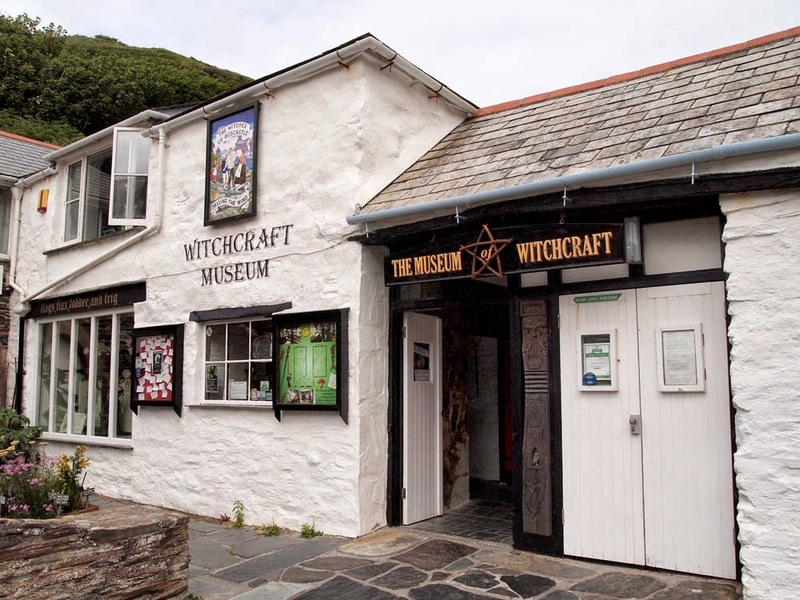 With 'Ghost Walks' and 'Tales from the Jail' - it claims to be one of the 'most haunted' places, full of 'spiritual energy' - making it a perfect to place to visit around Halloween! Immortalised in Daphne du Maurier's novel of smugglers, rogues and pirates, this historic coaching house has welcomed travellers crossing Bodmin Moor for nearly 300 years. Full of legend, mystery, romance and even, according to folklore, the odd friendly spirit. It is said that on a moonlit night you can hear horses' hooves and metal wheel rims turning on the rough cobbles in the courtyard - but see nothing! Or hear uneasy footsteps pacing the corridors in the dead of night, and see a strange man in a tricorne hat and cloak who appears and then walks through solid doors? Well worth a visit in the safe daylight hours(!) to see their collection of smuggling artefacts, and also to learn more about the writer Daphne Du Maurier. So don't miss a 'trick', give yourself a 'treat'. And let Cornwall (and Rooky's Nook) 'charm you' under it's spell! when by magic we loose an hour!